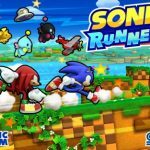 Last time, we brought you some basic Sonic Runners tips and hints, mostly for those who are rather new to the game. Just to remind you, this title is brought to you by Sega and it puts you in control of Sonic the Hedgehog, with the option to unlock some of his friends from the iconic series. The game can be filed in the endless runner category, though there is, of course, the additional selling point of the fact that Sega’s behind the title. 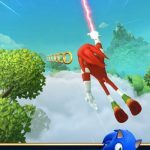 Need more help foiling the Eggman and reaching high scores even if you’ve been playing for a while? 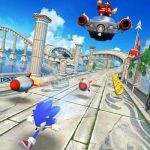 Check out the following Sonic Runners tips, tricks and hints. Banking rings takes place whenever you’ve collected some of them in a level and reached your checkpoint. This essentially keeps them safe and even if your character dies, you’ll still receive them. But once rings are banked, that leaves your character vulnerable; as such, you should look to gather more rings once you’re cleared a checkpoint. A piggy bank companion would allow you to earn a specific number of rings if you get hit. These rings will go directly to your bank and not to your inventory. In other words, piggy bank companions don’t exactly protect you from damage, but they will serve as an insurance policy of sorts. Additionally, it may be a good idea to get hurt on purpose but not to the point of dying, because after all, you get rings each time you get hit with a piggy bank in tow. If you ever gather a bonus item immediately before you face up with Eggman, you can only use them again in the next running stage. For example, this would apply to springs, but not to magnets, which remain usable during mid-run Eggman encounters. You’ll have three different power-ups that can transform you into a colored wisp temporarily. First off, the yellow drill burrows underground until you tap on your screen; it’s best to save your taps for times when you’re up against an enemy, or see gems. Indigo asteroids allow you to destroy anything you come in contact with. Lastly, the cyan laser won’t allow you to control your wisp, but tapping would draw all gems or rings toward your character. Perhaps we should advise you instead not to use Tails, as he only has a short attack range at his disposal. If you use him to do double- or triple-jumps, you’ll only be able to kill enemies by coming in on them from above; otherwise, he can be very, very open to enemy attacks. This should actually be more of a basic tip, but we’re telling you this nonetheless, as even experienced players can forget about this from time to time. Tap the right arrows on your map to view your characters and companions, and as long as you can do it, level them up to increase their stats, albeit randomly. Sonic, of course, is the character you want leveled up most frequently, due to his balanced skill set, and the fact that he’s the main character.